British Airways has announced £116m post-tax profits in its interim results for the six months ending September 2010, up from a £208m post-tax loss the previous year. The airline has announced the unaudited results despite being plagued by cabin crew strikes, a drop in passenger numbers and the effects of the volcanic ash cloud over the accounting period. 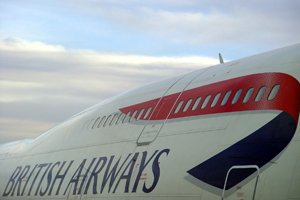 British Airways’ interim management report shows that it carried 7.3% fewer passengers between 1 April and 30 September than the same period in 2009. A total of 16.45m passengers travelled in 2010 period, down from 17.74m in 2009. Its results for the three months to the end of June showed a £164m loss. Meanwhile, fuel prices rose more than 25%, from an average of 172 US cents per gallon to 216 US cents. British Airways chief executive Willie Walsh, said: "Our concerted efforts to introduce permanent structural change across the airline has led to a reduction in non-fuel costs and a return to profitability. Revenue has increased, driven primarily by yield improvements and, while fuel costs have risen, they are in line with our expectations." Despite the drop in passenger numbers, passenger revenue increased 7.9% from £3.59bn to almost £3.88bn. The airline also had £48m restructuring costs during 2009, added Walsh, which did not occur this year. Unite union, which represents British Airways cabin crew, is now balloting its members on further strikes over Christmas. A Unite spokesman told C&IT it could be "several weeks" before results were known.